Come along and hear whether you’ve been overcharged? Will we or won’t we hear the full results of the PricewaterhouseCoopers’ special investigation ? Why wasn’t the 1st phase continued by Pwc but by the very HfI Officer responsible for Performance instead ? Why didn’t the independent skilled Internal Audit Team undertake the work ? Is this especially odd as important Leaseholder financial issues were identified ? The council say “At the last audit committee meeting, the report into PFI confirmed there had been no fraud – but the council were concerned to learn there had been overcharging of leaseholders in some cases. The committee asked for the original sample of 20 properties investigated by PWC to be extended, and so we instructed HFI to investigate a further sample of randomly-selected cases. The results of this investigation will be reported back to the audit committee. These documents outlines the procedures to be followed when assessing and processing refund and compensation payments. The next Islington Leaseholders Monthly Meeting is first one of the new year. hic. If you wish to become a subscribing member or renew your existing membership, please download a form from here. 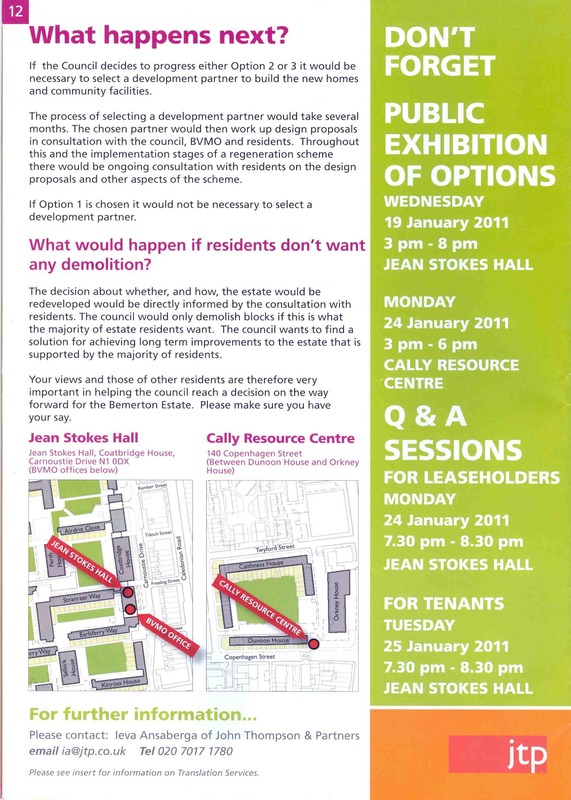 Please find available for download the insurance presentation (powerpoint file only) made recently at the Islington Leaseholder Association Meeting of 10th November 2010 by JLT on behalf of London Borough of Islington/Homes for Islington regarding Leasehold Insurance Policy.